"For the longest time, I've considered my wiring as an introvert a thorn in my side. After spending time engaging with others, I felt so empty and overwhelmed...and lonely. With my calling as an author and pastor requiring me to publicly speak and consult, I wondered if I misunderstood my place in this world. In Introverts in the Church, Adam brings a voice to those of us who often trade ours in for a little bit of respite. Not only a needed resource for introverts, all leaders need to read Introverts in the Church for a better understanding of how introverts can lead, how they follow, and how they refresh." --Anne Jackson, pastor, blogger and author of Mad Church Disease - Overcoming the Burnout Epidemic. "As an author and consultant, I have seen firsthand the struggles that introverts face in a society built for extraverts. 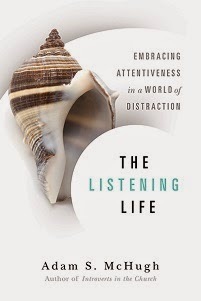 But I have also seen how powerful introverts can be once they embrace the gifts of a quiet and thoughtful temperament. 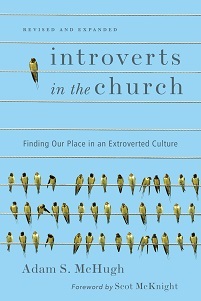 In this deeply felt and beautifully reasoned guide for introverts in the church, Pastor Adam McHugh shows the way for introverted Christians to find peace within themselves and their community." --Susan Cain, author of "QUIET: The Power of Introverts in a World That Can't Stop Talking" (Crown Publishing, 2011).